Comcast's Xfinity Stream app, one of the cable company's main plays for a digital audience, offers customers access to live TV and on demand content (plus DVR recordings, for X1 or Instant TV Cloud subscribers), from their Android, iOS or Amazon device. 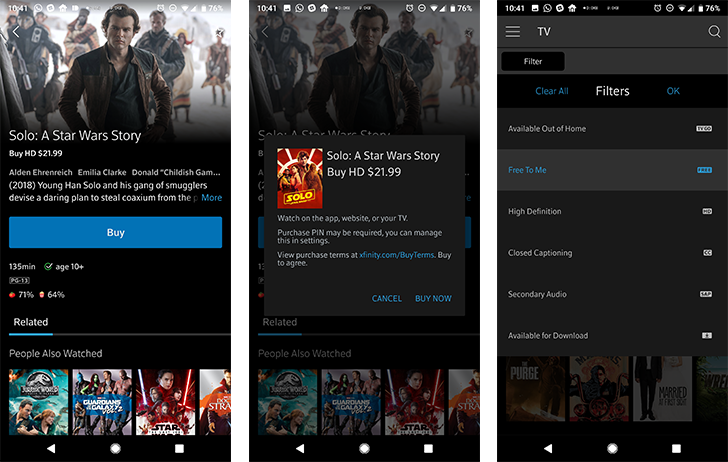 In the recent 5.0 update to the platform, the company added the ability to watch and download rentals to the app, as well as the option to rent and buy directly through the app. A few other upgrades came along with 5.0 as well, but so far the update hasn't stemmed the poor to middling reviews for the service. 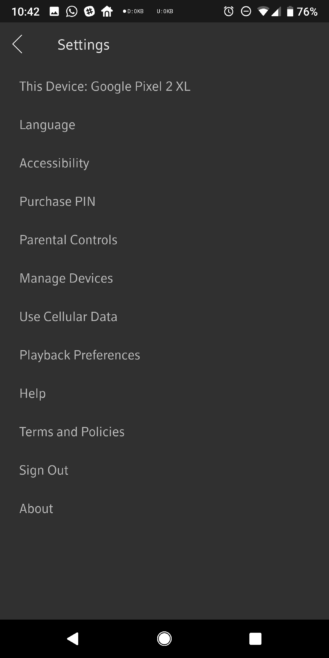 Comcast has added a "Free to Me" menu section, so you can see what's available with your subscription, and a "Purchase PIN" option in the settings that will protect your account across all devices so that buying new shows or movies isn't too easy for your kids (or really anyone who might feel inclined to make unwarranted purchases). 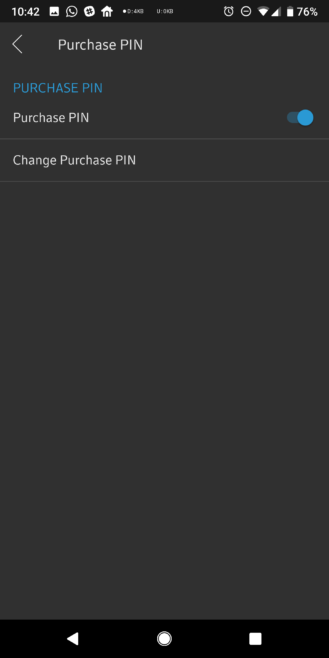 However, as noted above, the reviews on Google Play since the update haven't exactly been glowing, with one commenter stating that users can no longer remotely record programs, and others reporting a variety of ongoing issues, from poor streaming quality to downloading errors. Xfinity Stream is available to Xfinity TV customers (X1, non-X1, and Xfinity Stream package). For full app requirements, check out the company's support page here, and find the app below or on APK Mirror.